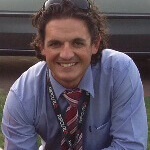 My name is Andrew Trosic, and I am a proud parent of two children at our wonderful Kardinya Primary School. I have been on the School Board since my son began at Kardinya in 2012, and have for the past two years been the chairperson of the School Board. As a parent representative on the School Board, I am there to represent and advocate for you all, in terms of helping set the strategic direction and policy framework for our School. Good governance oversight is critical to the successful of any organisation, and for schools this provides a unique opportunity for parents to help create the best learning opportunities for our children. Through my involvement with the other representatives on the Board, we have helped position Kardinya on a strong financial, leadership and performance base. This has been evidenced through continued improvement in the successes of children across all year levels. We look to 2018 with a continued positive mindset to keep improving our school. We must never take our eye off the challenge of creating successful students, as this will be the true measure of how as a state and nation we remain the best in the world.